Automate software delivery and enable collaboration between development and operations for any language, targeting any platform. Get everything you need in a single solution including agile planning, source code control, package management, build, testing and release automation to continuously integrate, test, deliver and monitor your application. 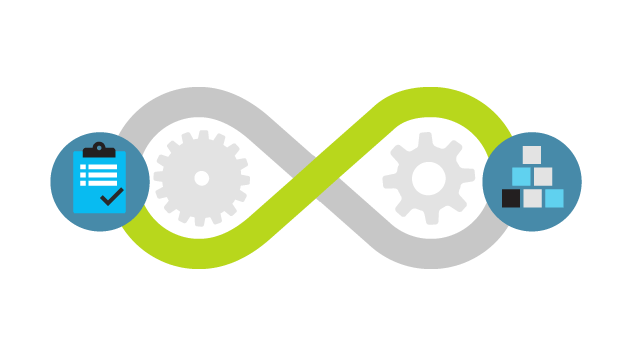 A complete DevOps toolchain to help you deploy your application faster with confidence. Run unit, UI, load, and performance tests during your entire release. With support for all the popular test frameworks including xUnit, Junit, Selenium, Jasmine, and Mocha, you can test any project type during your build and deployment, including collecting code coverage. Manage automated deployments through each stage of your pipeline. Deploy applications, database changes, and infrastructure to the cloud, on-premises, or hybrid cloud with test verification and approvals at every stage. Mobile applications can benefit from DevOps just like any other application. 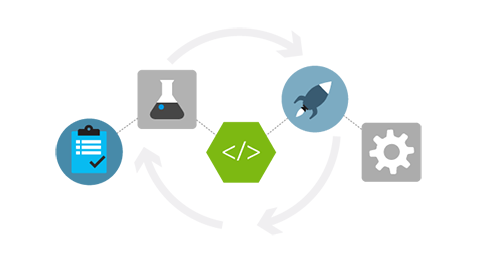 With Xamarin, HockeyApp, and Cordova integration Azure DevOps enables mobile DevOps for Android, iOS and Windows phones. The goals and best practices of DevOps apply to all languages. Azure DevOps enables DevOps for applications written in any language. Build Java on Linux, Xcode on a Mac or .NET on Windows from a single CI system. Azure DevOps lets you target cloud or on-premises servers running any operating system. Deploy to physical servers, virtual servers, containers, or mobile devices. Already using Jenkins for CI? Using Subversion or Github for version control? Azure DevOps supports rich integration, so you can continue using systems you’re comfortable with while also taking advantage of all the great benefits Azure DevOps has to offer. Use Web Hooks and REST APIs to integrate with external 3rd party systems.